Since 1969 we have produced one of the most sought after IWF approved competition bars in the industry. Uesaka has been the supplier for bars used in the Olympics Weightlifting Games six times. This bar is made for Olympic competition weightlifting. Our bars are certified by the IWF and are approved for use where your results are recorded by governing bodies. Uesaka produces approximately 100 bars per month. Each bar is hand made in the traditional way, taking time for the finer details. The knurl is hand lathed into each bar. 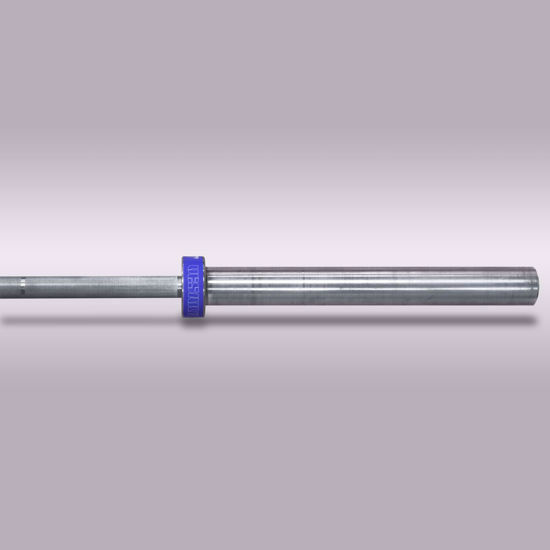 Our dry rotation system is maintenance free and does not wear like other bearing constructed bars. You will have the same consistent feel years later as the day you bought it. A one time investment for a lifetime of quality.